If you are searching for diverse weather or extreme temperatures and precipitation, the U.S. is certainly one of the places to be. Have you ever wondered what U.S. city is the coldest or the warmest? What city experiences the most rainfall or the most thunderstorms? I thought that it would be interesting to come up with some answers to these questions. I will avoid all of the tiny towns and stick to cities with a population of at least 50,000. Much of the data is supplied by NOAA (30-year averages from 1981-2010). 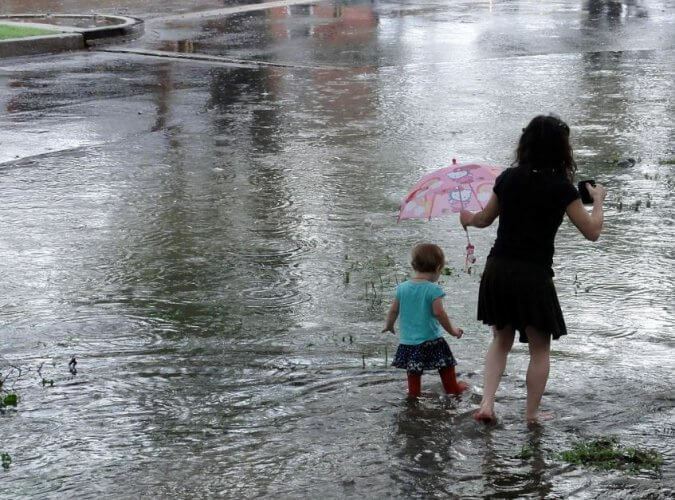 When you think of lots of rain, I know that Seattle, Washington, will come to mind. With an average annual rainfall around 38 inches, Seattle isn’t even close to being the wettest city. It does rain often during certain times of the year, but the Olympic Mountains to the west produces a “rain shadow” around Seattle, so the western side of these mountains receive large amounts of rain, but Seattle receives much less. So, we then look toward the Gulf of Mexico, where there is plenty of moisture that can produce rain. The Florida Peninsula is also a place where rain can be common, with the Gulf of Mexico to the west and the Atlantic Ocean to the east. If we look to these areas, we will be right on the mark. Driest Cities in the U.S. It would be logical to look to the Desert Southwest to find the candidates for this award and we would be right. 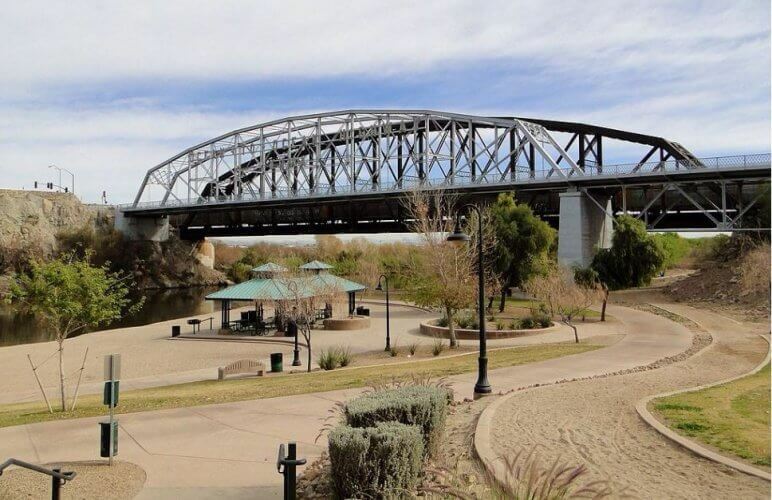 These areas receive some rain during the winter and some during the “summer monsoon“. During much of the year, however, this region receives little or no rain. When we think of snowy locations, northern New England or Alaska often come to mind. Although these places can be snowy, there is another area of the country that sees even more snow. The Great Lakes region receives snow from storm systems that cross the country and snow that is produced when very cold air passes over the warmer waters of the Great Lakes (lake-effect snow). So, areas downwind of the Great Lakes receive snow from two sources, especially during the winter months. 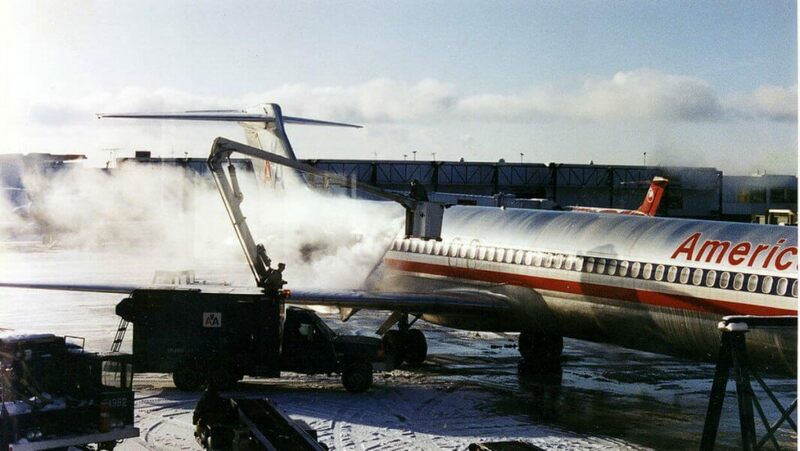 An American Airlines MD-80 being deiced at Syracuse Hancock International Airport is a frequent occurrence in the winter. Photo Credit: Wikipedia -Public Domain. When we think of windy cities, Chicago comes right into your mind. Chicago doesn’t even make the top ten, however. We might want to look toward coastal New England where Atlantic coastal storms are common during portions of the year. These areas of low pressure, combined with areas of higher pressure up in the Canadian Maritimes, can create very windy conditions. Another area that we might want to look at are the Great Plains. 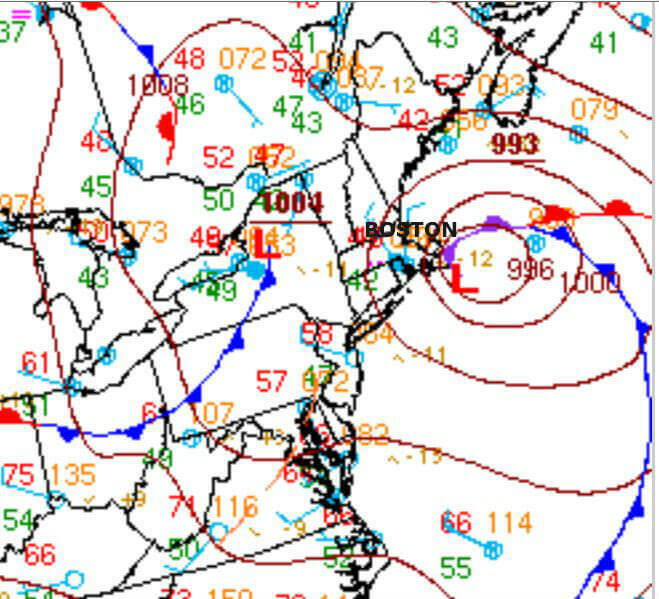 There are frequent situations where a high pressure system is moving away from this region as a strengthening low pressure system emerges from the Rockies. In these cases, the pressure gradient (or difference in pressure) can create high winds. In fact, the cities that are on top in this category are found in these two areas. Here are the cities where the average wind speed is the highest. Thunderstorms are common in the Great Plains and across the Southeast and Gulf Coast regions but there is one area that sticks out like a sore thumb, and that is the Florida Peninsula. With a southern geographical location and bodies of water on both sides, Florida is a very warm and humid place for much of the year. These factors contribute to thunderstorm development and Florida residents can attest to this fact. Here are the cities with the most thunderstorm days, on average. 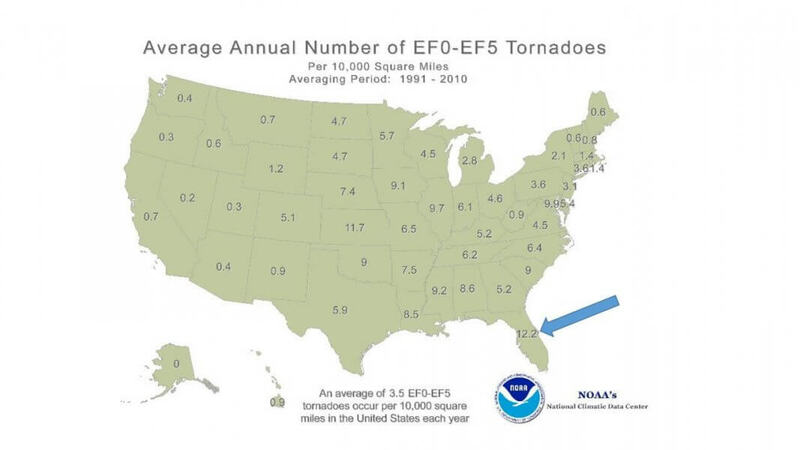 We often don’t think about Florida as being a place with lots of tornadoes, but with all of the thunderstorms that develop on a yearly basis, it actually is. Most of the Florida tornadoes are on the weaker side (EF-0 or EF-1) on the Fujita scale. The other area will likely come right into your mind and that is the Great Plains, especially from Nebraska down to Texas. This is an area where you will be more likely to find stronger tornadoes. For this category, I looked at the average number of tornadoes per year in the county where the city is located. Here are the cities that are most likely to encounter a tornado in the area. It would seem reasonable to assume that you would look to the southern sections of the nation to find cities with the highest average temperature. Keep in mind that the average temperature includes all of the high and low temperatures. 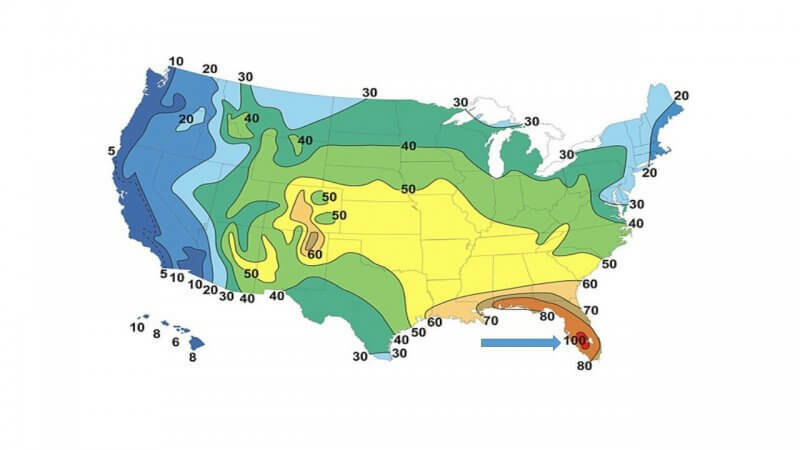 The Florida Peninsula would be one place to look, with the moderating effects of the Gulf of Mexico and the Atlantic Ocean, along with the Desert Southwest. The Desert Southwest would be the place where you would find the highest daytime temperatures, and the greatest number of 100-degree days. Nighttime temperatures can get pretty chilly there, especially during the winter months. Here are the cities with the highest annual temperature. 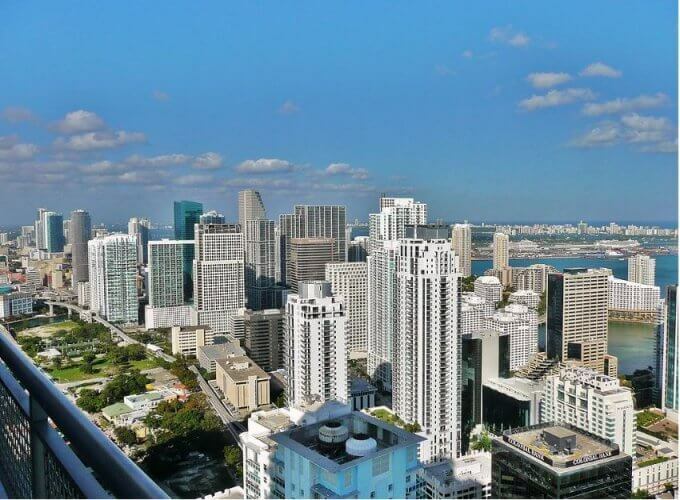 Photo of the Miami, Florida skyline. In this category, it would be wise to look up to the north. 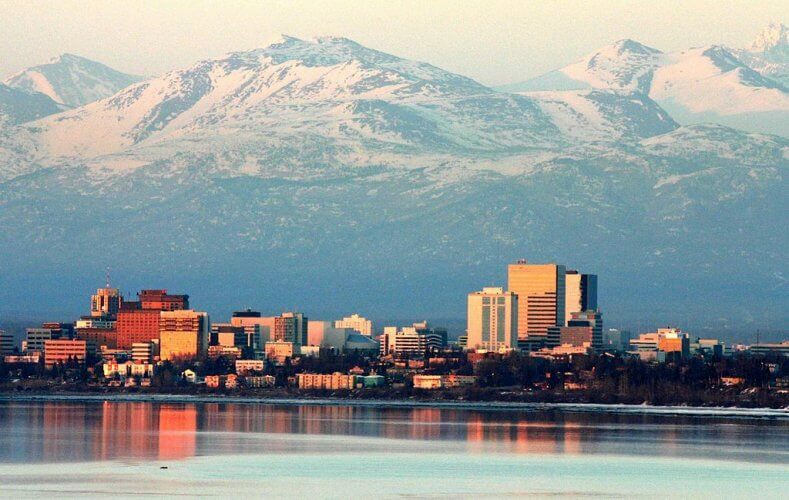 Alaska would be a good choice, and there is only one city that meets our minimum population requirement. It can also get pretty cold across the northern Plains and over to Minnesota. Here are the cities with the lowest annual temperature. Snow covered mountains provide a picturesque background to the city of Anchorage. Alaska. Photo Credit: Wikipedia-Public Domain. What is the water cycle and can the cycle be disrupted? What is virga? There’s rain on radar, but it’s not raining! Does a Warm Winter Mean the Summer Will be Hotter than Normal? Tagged cities, extremes, precipitation, temperature, thunderstorms, weather.